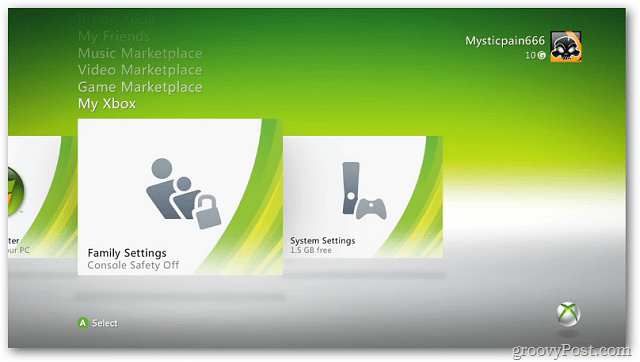 If you have an Xbox 360 and young children, you’ll want to protect them from offensive games and other content. 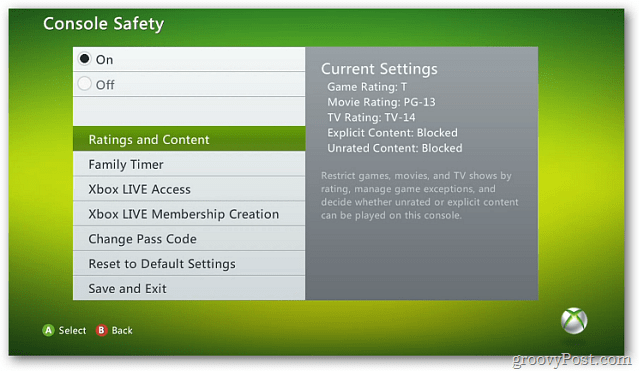 Here’s how to enable Parental Controls on the Xbox. 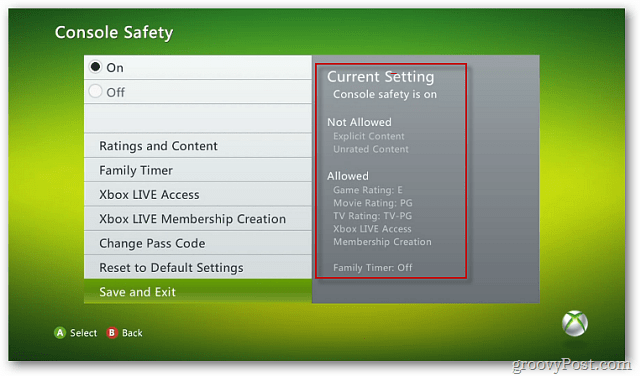 From the main menu scroll to and select My Xbox >> Family Settings. 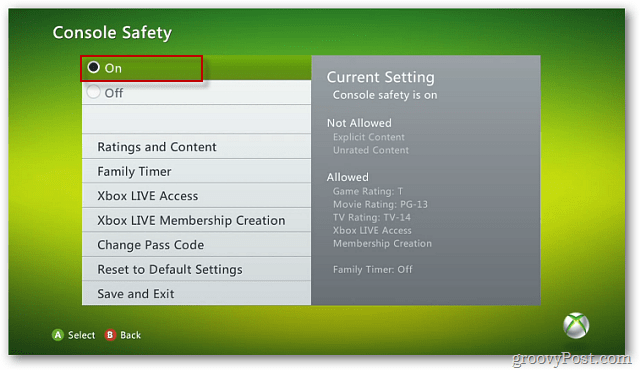 On the Console Safety screen select On. Now you can adjust the family safety settings. 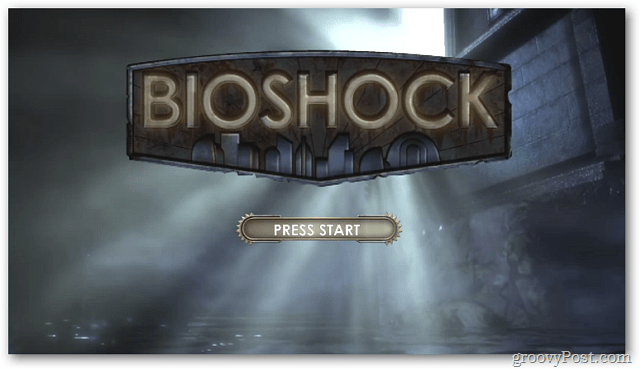 Ratings and Content lets you restrict games, movies and TV shows by age. 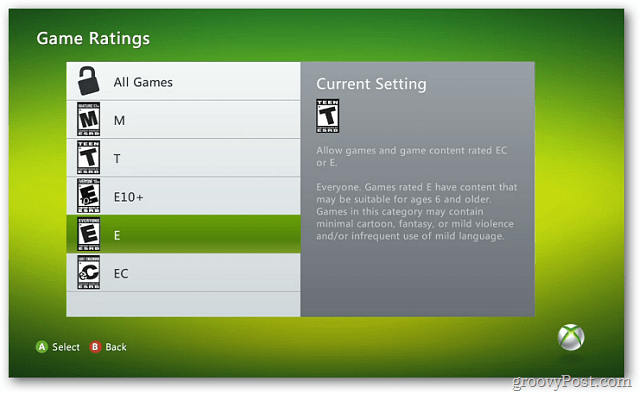 Under Game Rating select the game ratings they can play. In Movie Ratings, set the movies to allow. Allow or block explicit content. This setting blocks explicit video and music. 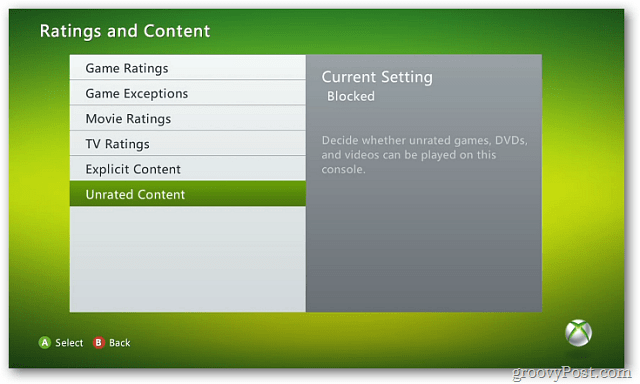 It also lets you block Unrated Content. 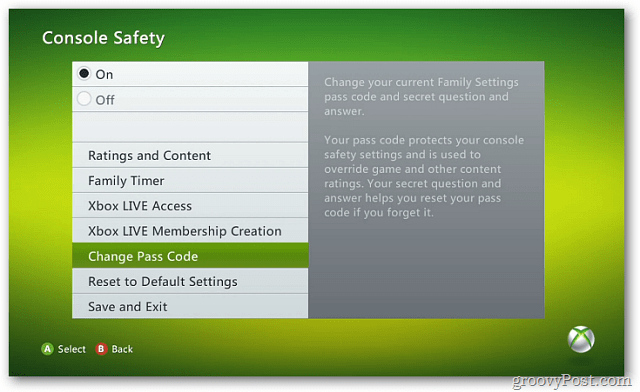 After you’ve set the restrictions on content, go back to the Console Safety screen and select Change Pass Code. 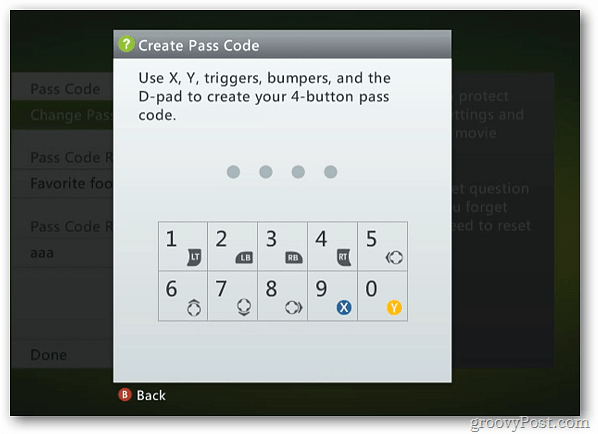 Create a four button pass code using the controller. 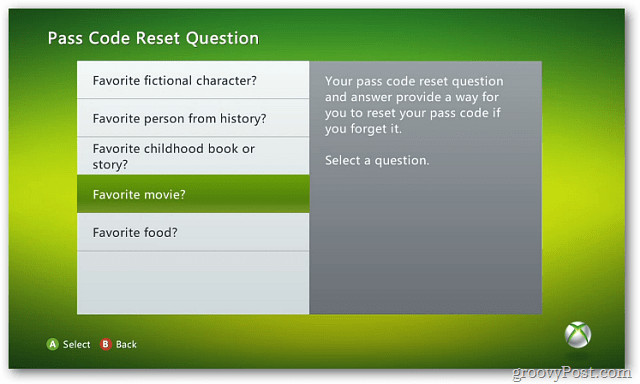 You’re required to create a Password Reset question. 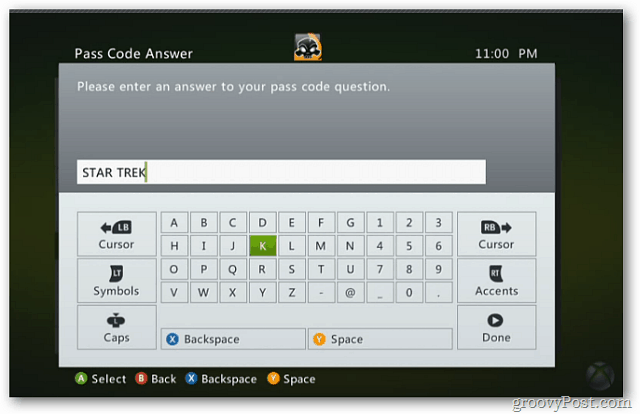 Use the on-screen keyboard to answer the question. Make sure not to answer the question your kids can figure out. After managing the content settings and setting a pass code, select Done. The next screen gives you a summary of your current settings. If everything looks good click Save and Exit. 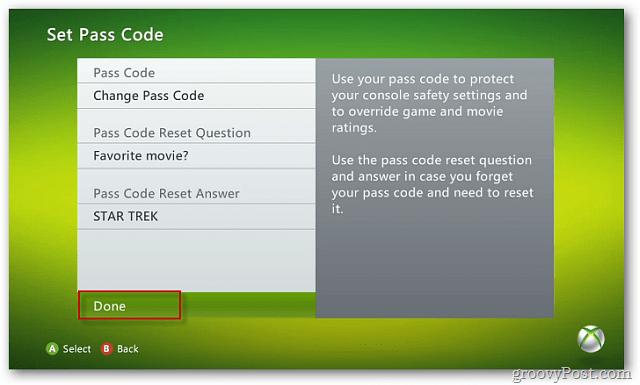 If you put in a game or video that is blocked, you’ll need to enter in your pass code. 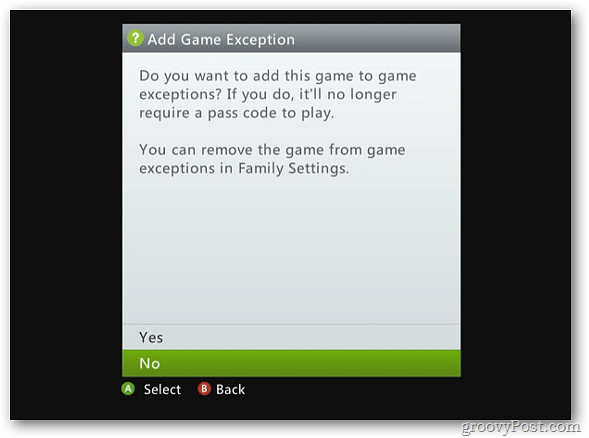 After entering in the password, select if you want to add it to the Game Exception list. If you add it to the list, it won’t require a password to play. 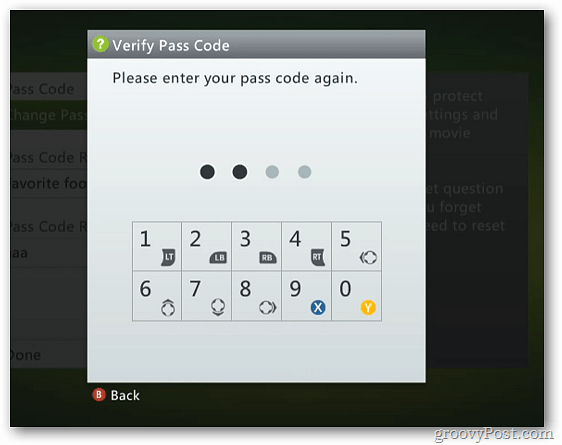 After entering in the password, you can enjoy your games and movies while the kids are asleep. 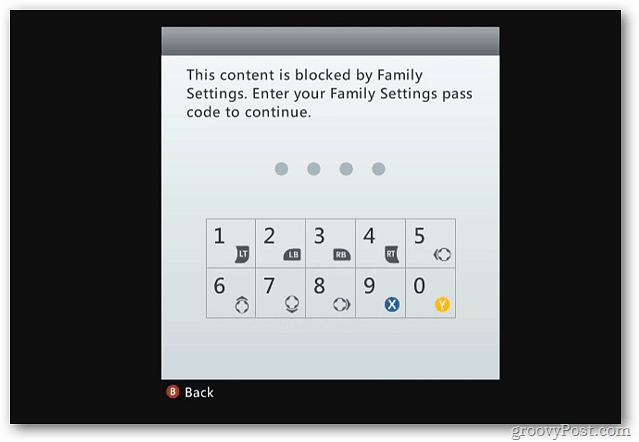 If you want to protect your children from content they don’t need access too, setting up family settings is important.